Art can do a lot of things to make your life richer and sometimes in ways you cannot even conceive of. The fact is we often make the mistake of assuming that art is only about the sense and while it is, that is not all. It is only now that people have started acknowledging that many art forms can be therapeutic. 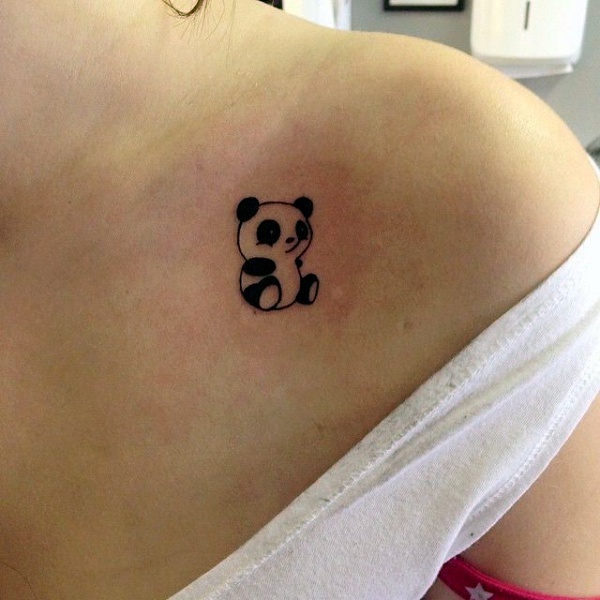 In this article, we are going to look at the best tattoos that cover birthmarks. 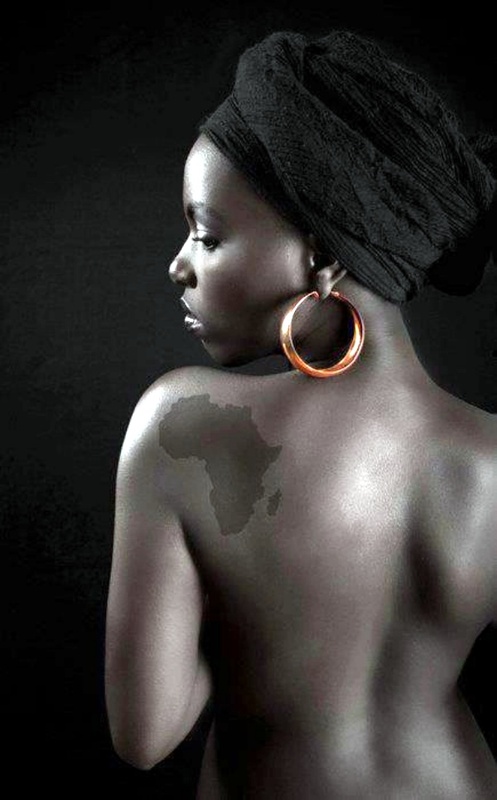 The reason that we are bringing up in this context is because we feel that many of having birthmarks that tend to make us feel awkward and tend to worry us. 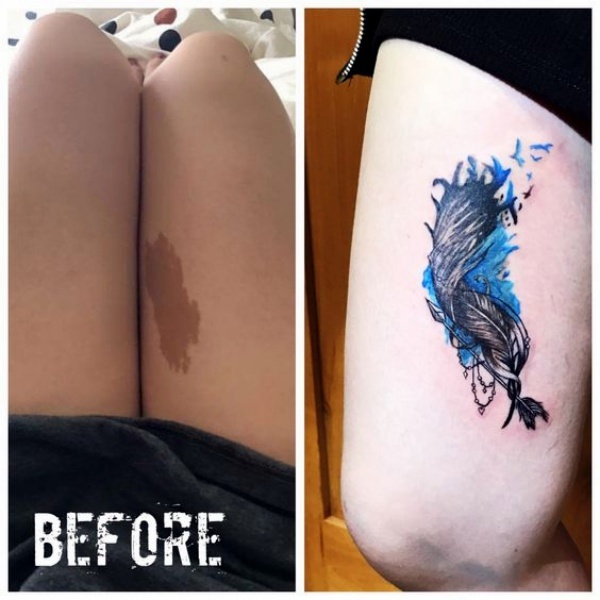 Tattoos are an art form that not only has a deeper significance but also offer you a chance to transform birthmarks into an art form. 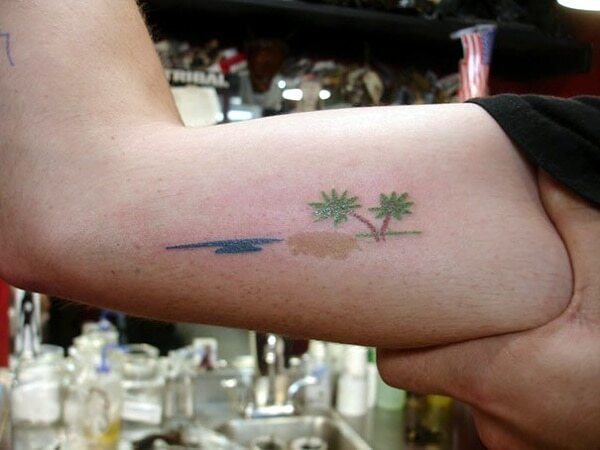 Imagine getting one of those fanciful ValarMorghulis tattoo designs to cover up what was once a mundane birthmark. 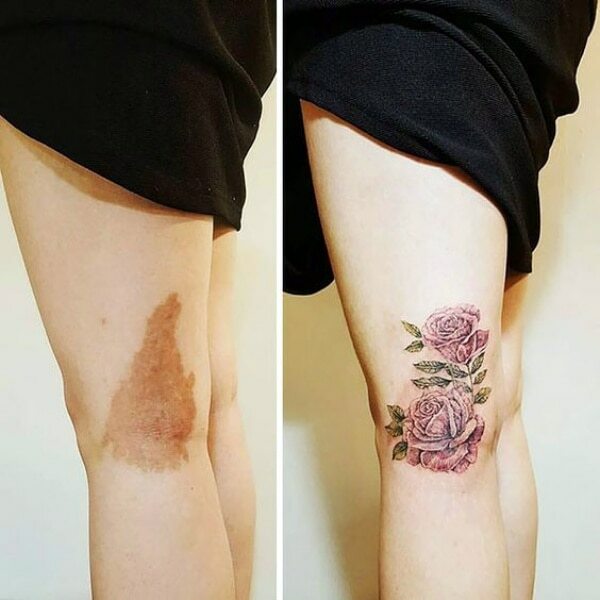 If you are so inclined you can pick out one of those purposeful tattoos for women as the best tattoo that covers birthmark choice or something else that we have detailed out here. 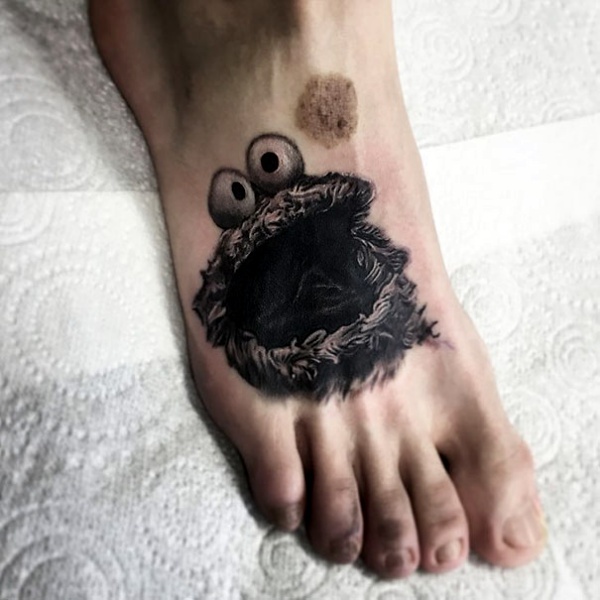 And if that is the kind of thing you like, then, by all means, go for perfect abstract tattoo designs that everyone else will curse themselves for not thinking about. 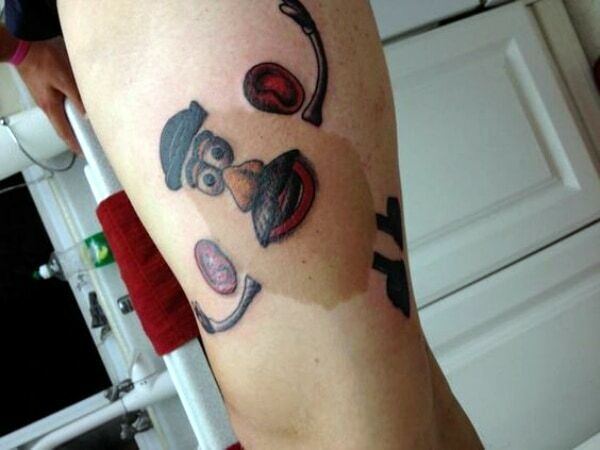 The perfect potato head tattoo to cover that mole or patchy birthmark on your arm. A lovely couple of roses on the arm to cover up that dark birthmark on your arms. 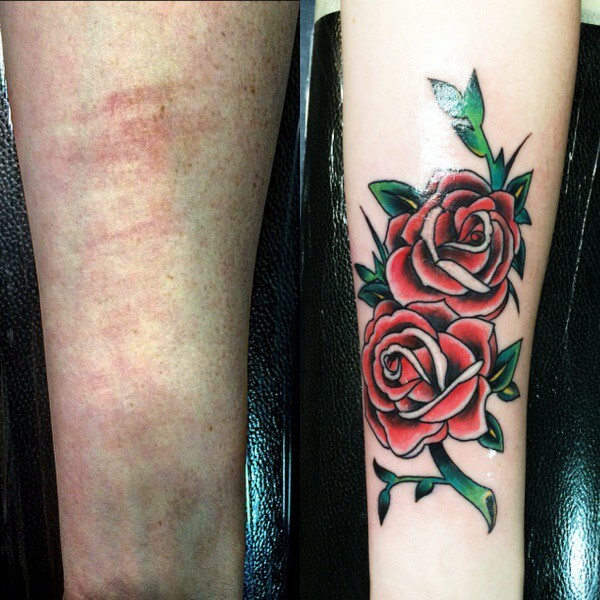 Another rose tattoo is a great way to make anything unsightly into something pretty. 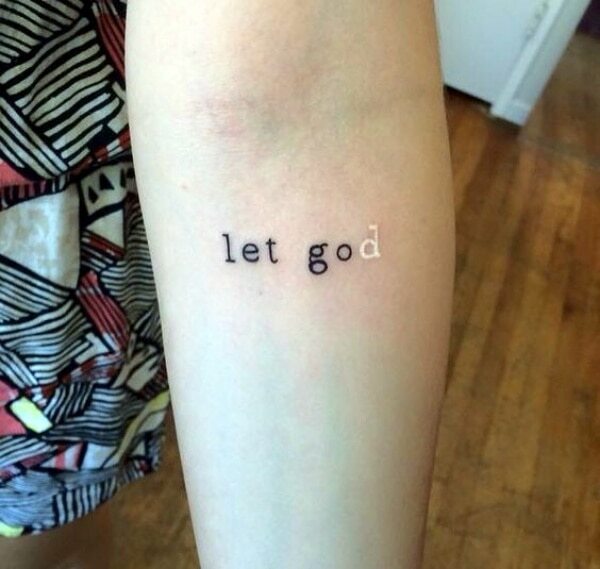 Just write something deep and profound to take away the attention from the birthmark. 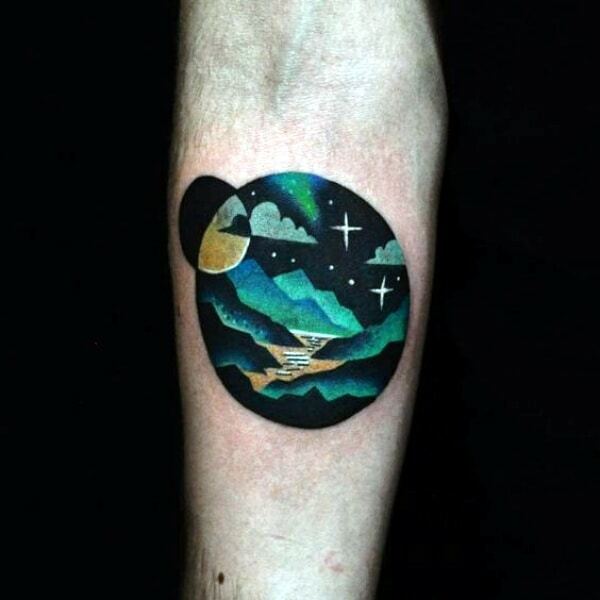 Make a natural scenery kind of tattoo while making your birthmark into a creature in the scene. 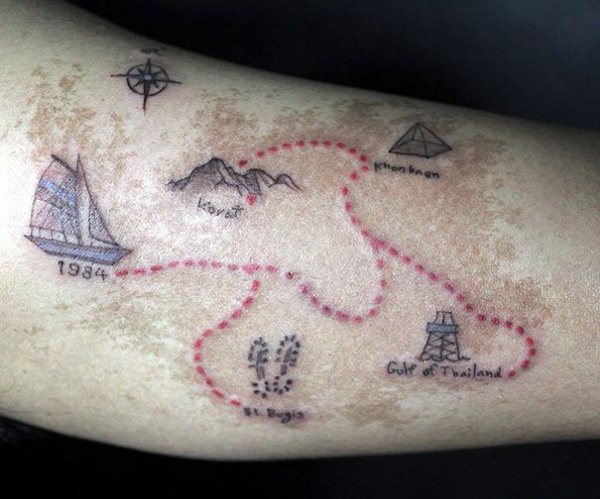 Draw the map of something in the form of a tattoo as the means of covering up your birthmark. 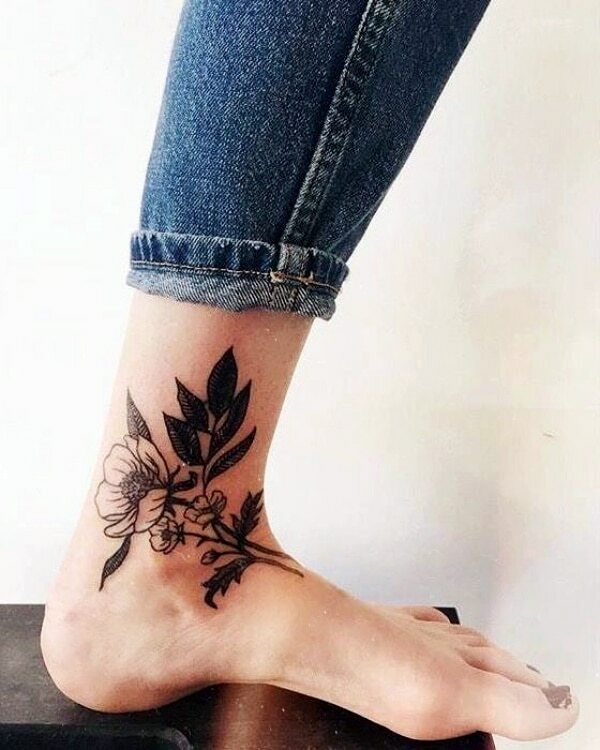 Ankle marks can be made into some charming flowers indeed if that is what you like. 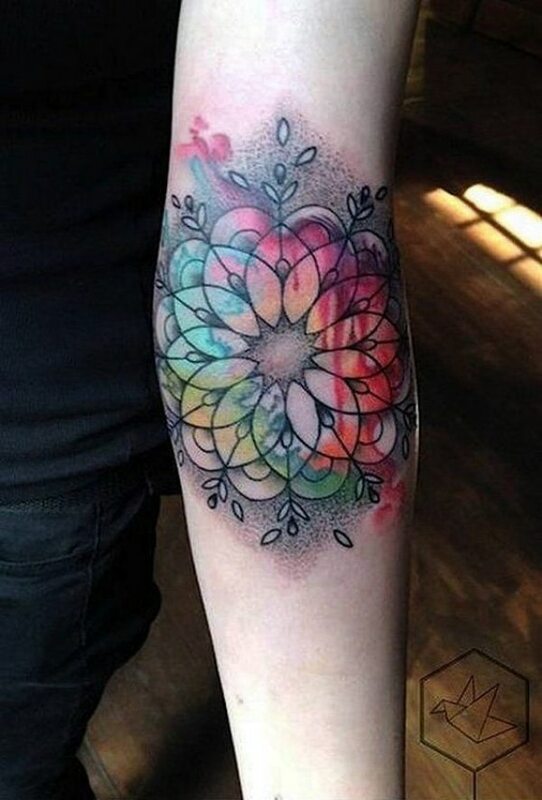 Show off your Mandala kind of design and hide your birthmark in full display. How about a nice night with stars scene to hide away your birthmark? 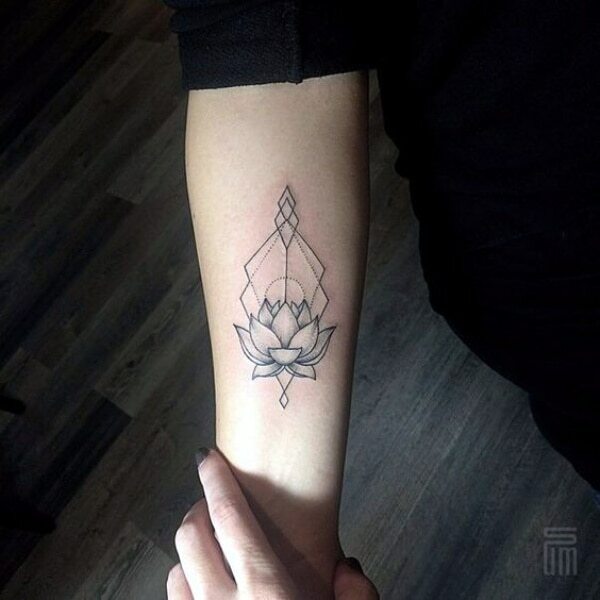 Make a lotus with some other meaningful lines around it. 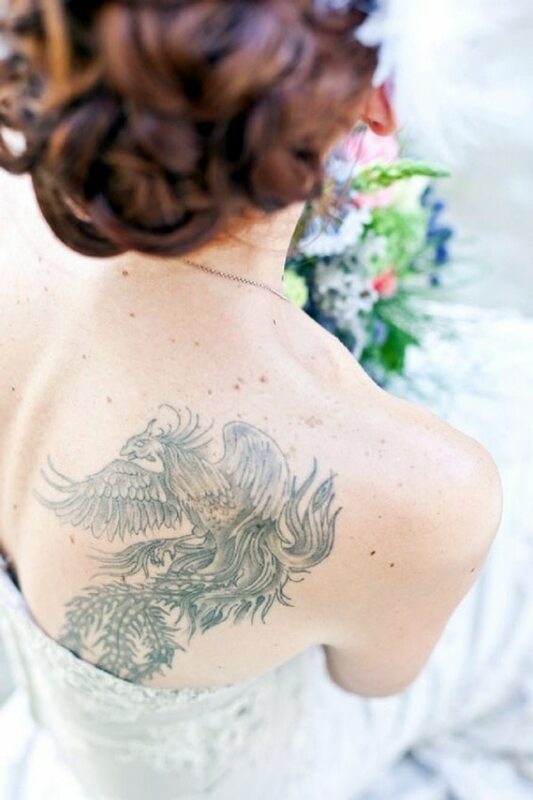 One of those fanciful creatures like the phoenix or dragon to ensure that your birthmark rocks. 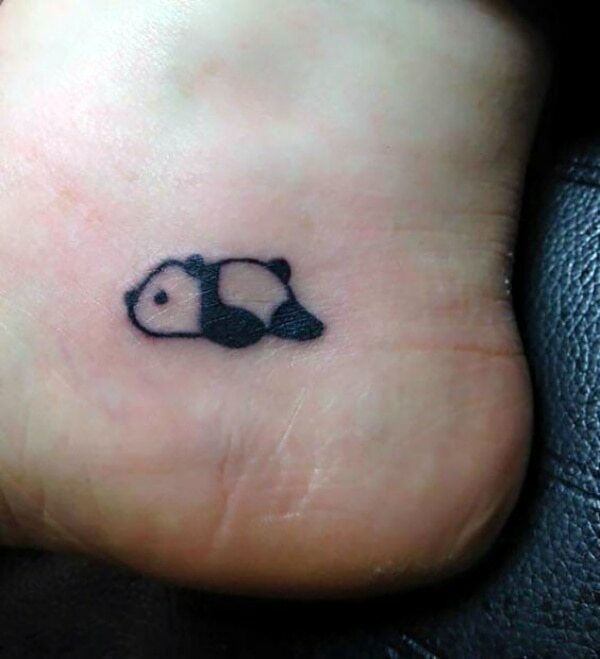 A panda lying there exhausted is a great and cute tattoo to make the birthmark disappear and cuteness appear. 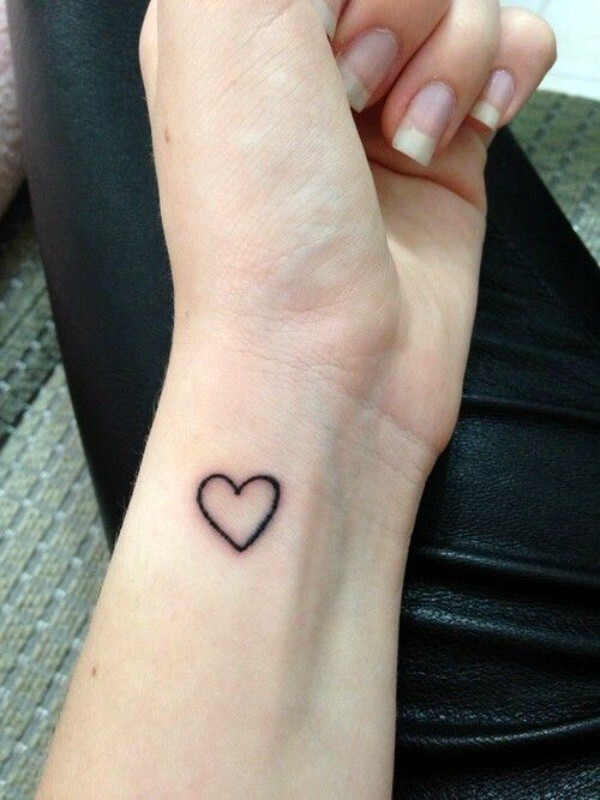 A heart tattoo is simple and charming to ensure that the birthmark does not get all the attention. 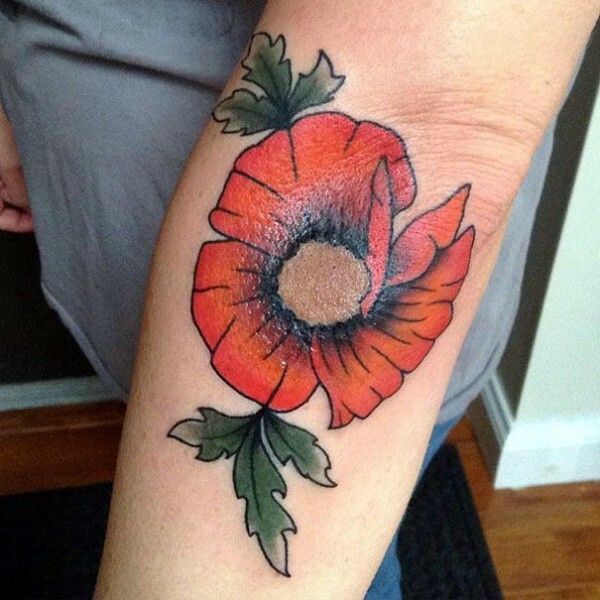 Make the birthmark the center of your flower tattoo. Once again, a cute panda but this time in a sitting position. 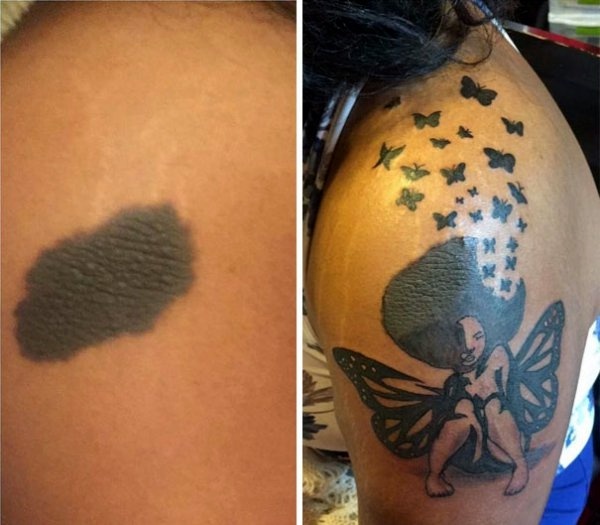 Make this dark birthmark the hairdo part of the fanciful tattoo of a half-woman and half-butterfly image that you are getting done. Some may want to get the cretin from the swamp done but with a cute look. 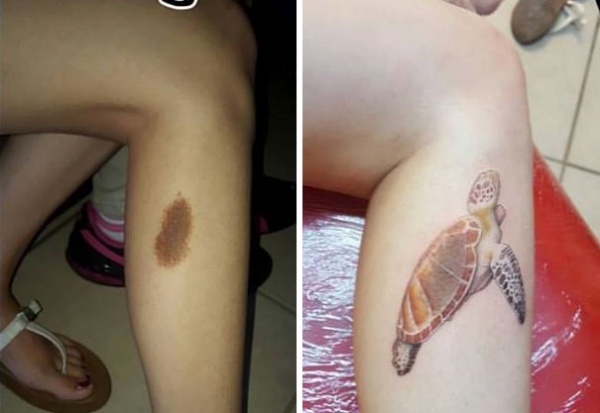 Turn that mark into a turtle that looks very purposeful in your tattoo. 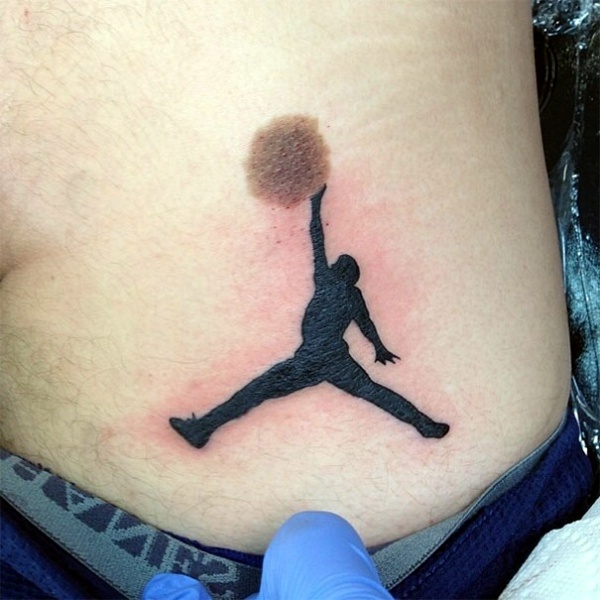 Convert your birthmark into a lump that the tattoo man is trying to catch. 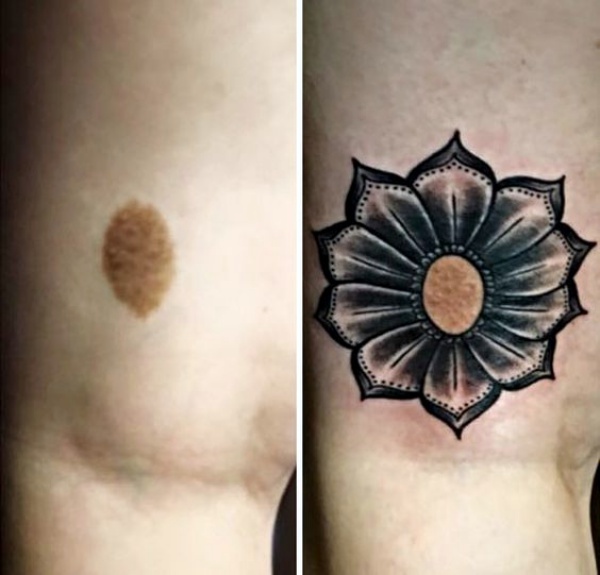 Center of the flower seems to be a popular way to disguise your birthmark. 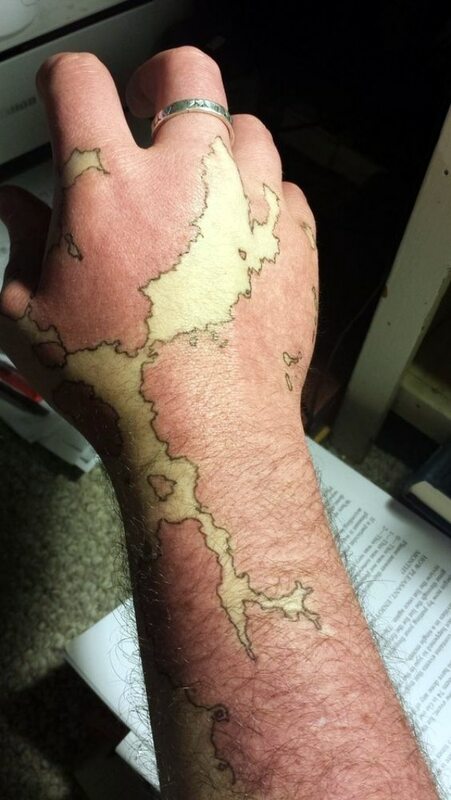 Maps are again a great way to go in terms of disguising your birthmark as a tattoo. 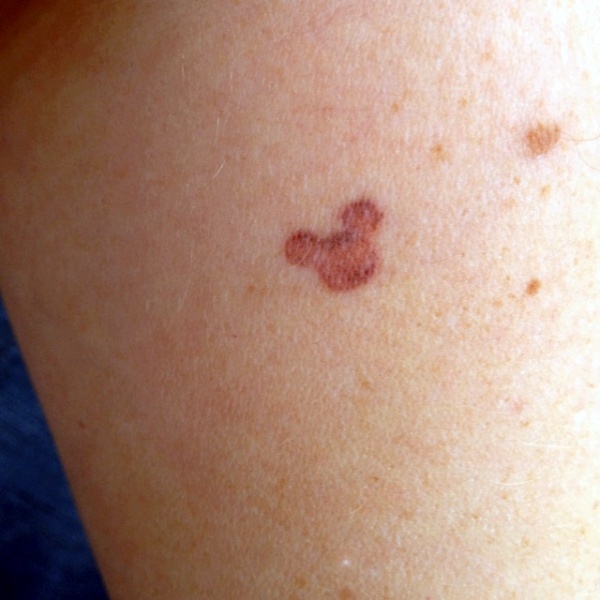 Use the shape of the birthmark to select the shape of the tattoo like in this case. 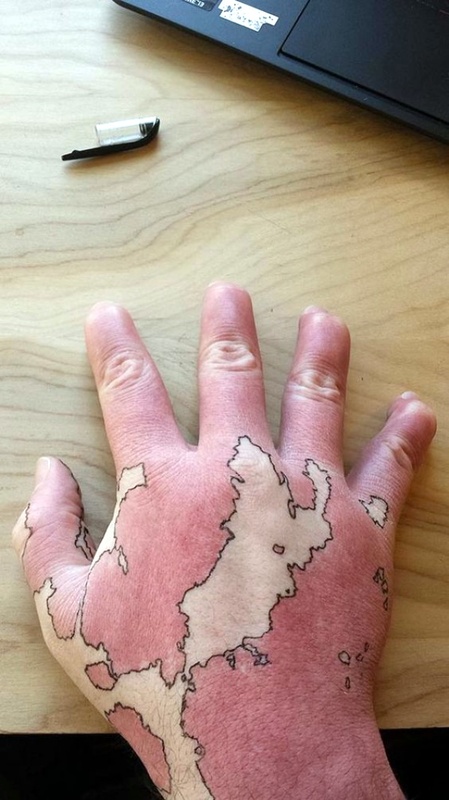 The map can be significant and useful to disguise the mark you want to hide. Once again extensive mapping comes in handy as you can see. 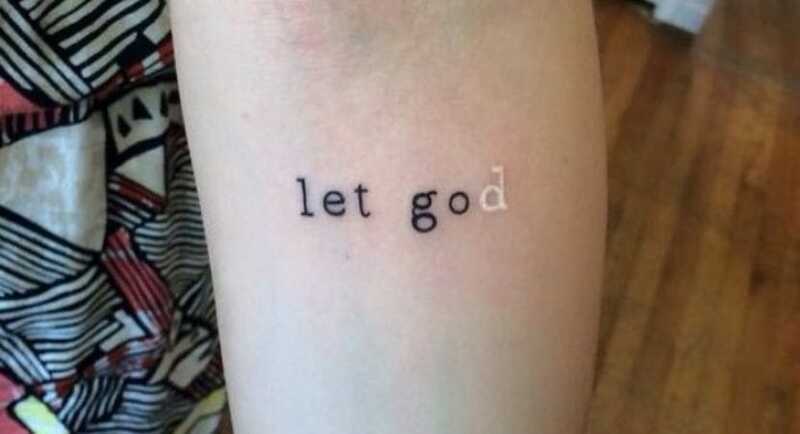 This one really makes you wonder at the imagination of the person who came up with this tattoo design. Tortoises are considered a good luck sign and so are birthmarks. 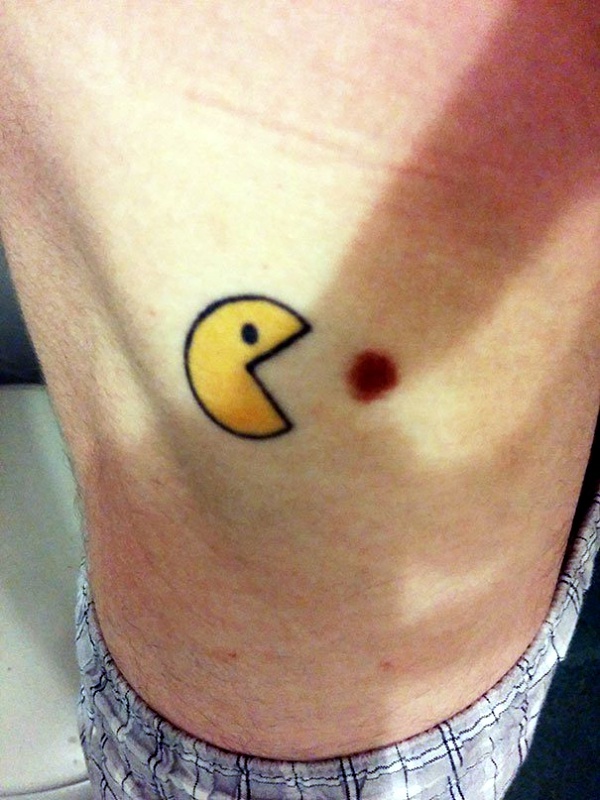 Packman and the dot it eats is a good way to make quirky use of your birthmark. 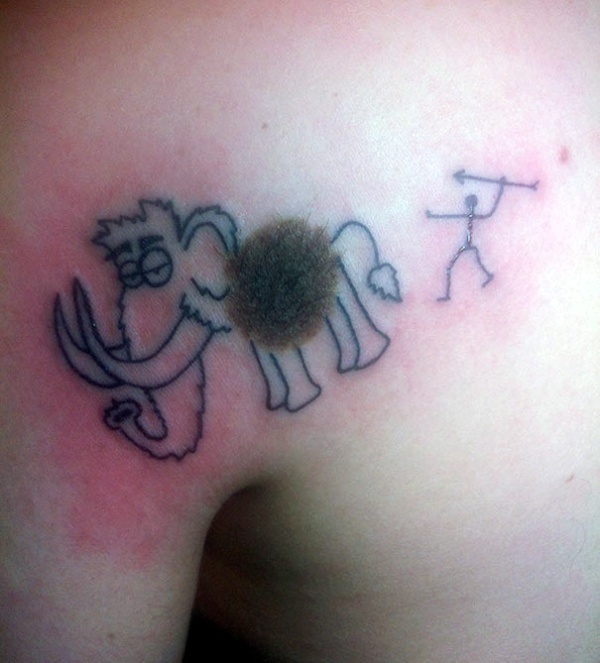 The Oliphant is a great way to go when it comes to the birthmark you are not that fond of. Blowing your head off to show the blood flowing is not a great concept but to each her or his own.